The cryptocurrency market attracts considerable volumes of investments, which every day continues to increase. This is due to the opportunity to earn extra money. Cryptocurrency trading attract high volatility, allowing you to quickly make substantial profits. Every trader is able to personally choose platform depending on his requirements and his own wishes. Thare are such trading platforms as centralized, which have the advantages of instant transactions and small commissions for the implementation of the sale and purchase of currencies and decentralized, the main advantages of which are a lack of control from the operators platform, instant deposit and withdrawals, no commissions for deposit. In this article we will discuss the trading platforms, according to their reliability and ease of use. The decentralized web-site LocalBitcoins deserves special attention. To start the exchange on this platform, you must at first to complete the registration procedure. Than the customer need to choose the most appropriate option for the transaction and confirming its conduct. In the table in addition to offers, courses, method of payment and limits, you can also see the reputation of the user, as on these platforms transactions are made at your own risk. LocalBitcoins allows you to conduct OTC transactions on the local level, which is between the parties directly. In addition, the exchange supports all kinds of payment methods, so will not be difficult to find a user with the necessary wallet or account, to make a deal. The calculation can occur in the any form of payment and through cash settlement. It is too convenient, but the exchange rate is usually a bit high, and the commission for the transaction is more expensive than at the centralized cryptocurrency exchanges. Among the centralized cryptocurrency exchanges we like to mention Poloniex. The exchange was founded in 2014 and during this time managed to gain immense popularity in the cryptocurrency space. This is also evidenced by the daily volume of trading, and the exchange is in the TOP-10 markets on this indicator. In addition to high trading volumes, the platform supports more than 140 trading pairs, and constantly monitors the relevance of traded tokens. To begin trading, the visitor must to register and then need to deposit. The site provides all conditions for a comfortable trade and is distinguished by the level of protection and reliability. Thanks to 2FA protection, which is so difficult to crack, users of the exchange can not worry about the theft of their funds. Do not forget to come up with complex passwords in order to strengthen the protection provided by the service. The only thing you need to worry about is conscientiousness of service. In 2017, the cryptocurrency exchange went offline several times during the moments of pamps and dumps, thereby yielding large losses to its customers who were unable to complete their deals, losing millions. Customer service support is known to be low. In any case, do not attempt to download the Poloniex app from the Google Play store - as there is a good chance that it will be a fake that will steal your funds. It is worth noting the cryptocurrency exchange, which is among the most comfortable services - Livecoin. Sufficiently convenient and understandable for both CIS residents and other countries. The trading platform supports besides English another 8 languages. In addition, the service allows its customers to withdraw funds to QIWI and WebMoney. With regard to the withdrawal of funds to Visa and Mastercard, the commission overstated, so first you should familiarize yourself with the various ways the findings, and then choose the most suitable. So, like to any other exchange, trading starts after customer complete the registration. After deposit you can start to trade! There are nearly 50 cryptocurrencies in the listing of Livecoin. But the full-fledged forecast of the price development of the currency will not be created on the cryptocurrency market's charts. The process is more like a buy-sell, because there are no forecasting tools in the cryptocurrency exchange. Despite these drawbacks, on the Internet virtually no negative reviews, indicating that the reliability of exchanges and good service of its users. In general, if a trader beginner masters this exchange, then he has enough experience for trading on any other. One of the oldest exchanges is Bitstamp, that launched in 2011. The exchange has a license for trading, which deserves additional attention, which is enough without it. For the period of its existence Bitstamp has concluded more than one partnership with the leading companies of the traditional financial sector, among them Swissquote, Masterpayment and others. Let's see on to trading. In addition to registration, the user will need to verify the identity, because without this procedure, access to the withdrawal of funds outside the platform will be closed. To deposit and withdrawal the user can use the following services: international transfers; VISA/MasterCard; SEPA and others. 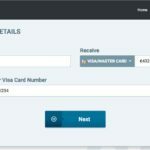 As for the security of funds, the service offers 2FA protection. The Bitstamp web-site supports Google Authenticator and Duo Mobile. If necessary, you can set up sending messages to e-mail, linked to the account. In addition, the exchange is constantly improving its security system. This cryptocurrency exchange has achievements that can boast units of services developing in this space. The world’s most popular bitcoin broker, Coinbase will also hook you up with litecoin and ethereum and operate as your online wallet. 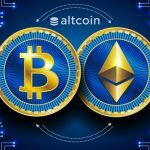 It’s not an outright exchange, however, so if you’re wanting to trade multiple altcoins, you’ll need to send your cryptocurrency somewhere like Poloniex or Bittrex. Coinbase is easy to use, has above average customer support and a good mobile app. In this month, the exchange attracted more than 100,000 customers, which speaks of its acceptance by the community. It’s also one of the safer exchanges for storing your coins, thanks to full insurance and robust security. No exchange is impregnable, but Coinbase is about as good as it gets. In conclusion, let's look at the Bittrex exchange, that has the fourth place with daily trading volume of 100 000 BTC, speaks for itself. Users like this exchange and for this there are reasons. 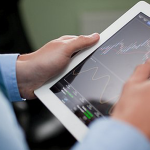 The platform features a large number of trading pairs with convenient tools for trade analysis. It is reliable and safe. And it allows each user to use two-factor protection. In addition, the site has not seen any failures, the work is stable, and gives confidence in the future. The registration process is no different from this procedure on other cryptocurrency exchanges. After the registration has completed, we confirm it in e-mail, after which we refill the account and can proceed directly to the trading. The site presents all the Top cryptocurrencies, and even some rare coin. In short, if you like to trade a variety of volatility and capitalization of the coins, then you perfect Bittrex. © 2018 bit.news | queries 236, for 0.434 sec.